This week at The Skirted Roundtable, we chatted with interior decorator Phoebe Howard, who refers to herself as “The Accidental Decorator” for the route she took into the business. 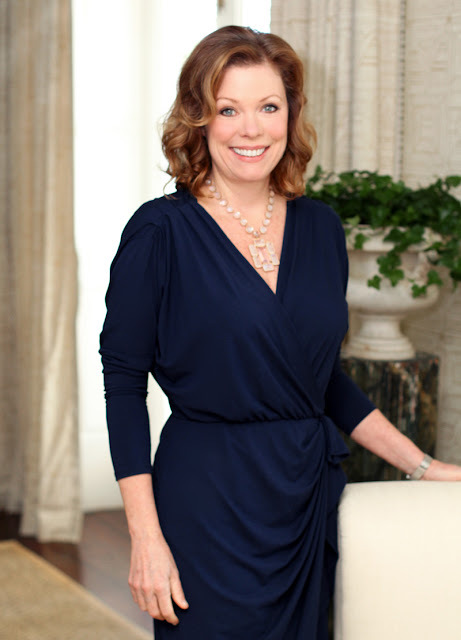 Along with her husband, interior designer Jim Howard, Phoebe runs a chain of five stores called Mrs. Howard in Florida, Georgia & No. Carolina. These stores are famous for their picture perfect room vignettes where everything you see is for sale. In addition to the stores, his and hers design practices, Phoebe has just release a new book – The Joy of Decorating – which is truly beautiful. When you go over to The Skirted Roundtable to listen to the podcast, there is a link and discount code for you to purchase the book at 20% off. The books that are ordered directly through Phoebe comes with an exclusive free paint chart listing Phoebe’s favorite 15 color combinations for walls, trim and ceilings. (while supplies last). And, on the show, Phoebe announced the launch of their first furniture line – Mr. and Mrs. Howard – in partnership with Sherrill Furniture. The new line – which was incredibly conceived and launched within the last three months – will debut at High Point Market next week. So, if you’re there, check them out! Get That Look! Mini Edition: What About Brian?